Jayda Franzen has been found guilty of wearing a uniform with political objectives and religiously aggravated harassment. A court in Luton heard how the deputy leader of Britain First hurled abuse at a muslim woman while holding a white cross in front of the woman’s four young children. Fransen escaped a possible six-month jail term but was handed a hefty fine and restraining order. The 30-year-old launched a tirade of abuse at Sumayyah Sharpe during a Britain First “patrol” of Bury Park in Luton at around 1pm on Saturday January 23. Fransen, who lives near South Norwood in south London, told Sumayyah that Muslim men force women to cover up to avoid them being raped “because they cannot control their urges”, Luton and Bedfordshire Magistrates’ Court heard. The charge of wearing a uniform with political objectives” comes under the Public Order Act 1936, a law originally enacted to tackle Oswald Mosley’s British Union of Fascists, also known as the ‘Blackshirts’. Fransen and Britain First leader, Paul Golding, posted a video to Facebook expressing their outrage at the decision. She said: “To keep it brief, it was absolutely absurd in the court. It was just a really clear example of Islamic appeasement. That’s all that we’ve just seen. “The witnesses that were called, they were coming out with all conflicting stories. Fransen went on to blame the verdict on “an Establishment that is against anything patriotic in this country”. Bedfordshire Police Assistant Chief Constable Mike Colbourne said: “We are committed to keeping Luton safe and peaceful and will not tolerate those who seek to provoke tensions within our communities. Things got even worse for Britain First after the first day of the two-day trial when Golding was served notice of High court breach. The 34-year-old said he fears he could be jailed for six months if found guilty. During the march they handed out newspapers and confronted local Muslims in what charity Tell Mama said was an “intimidating” fashion aimed at “inflaming” tension.”. Its activists, the party said, were pelted with eggs and verbally abused by Muslims who claimed to have “taken over” Luton. 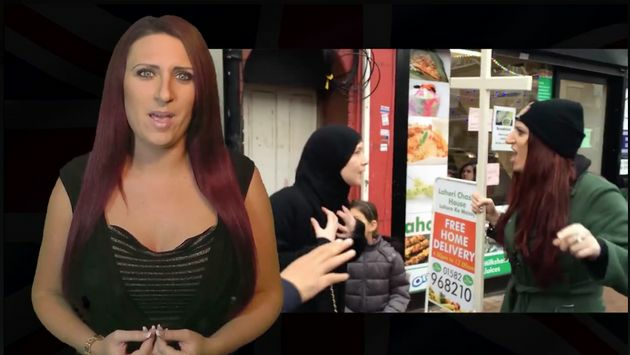 In an edition of “Jayda’s Soapbox” posted on Britain First’s Facebook page, Fransen had defended herself ahead of the trial.